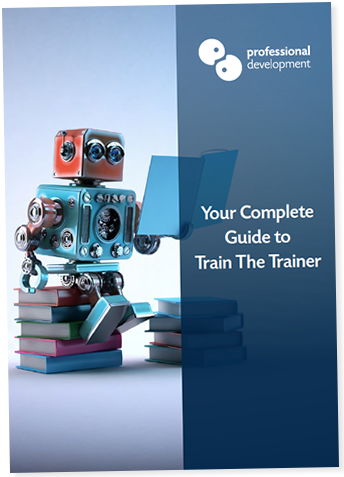 Do you already have Train The Trainer FETAC Level 6? Your existing qualification will remain valid. You now have the opportunity to progress your qualification. You may be halfway to achieving a QQI Level 6 Special Purpose Award. What does this exemption mean? We now offer a Special Purpose Award in Training & Development (QQI Level 6). The great news for existing “Train The Trainers” is that it is easier for you to achieve this Special Purpose Award than most. When we talk about an “exemption”, we are referring to the fact that your FETAC Level 6 Train The Trainer may entitle you to claim an exemption from 1 of the 2 components that comprise this Special Purpose Award. Why should I complete the Special Purpose Award in Training & Development? How can I claim an exemption? Contact us on Freephone 1800 910 810 and we will walk you through getting started. Complete the Training Needs Identification & Design module of the Special Purpose Award. Once you have completed this module and its assessments, we will process your exemption with QQI.